Automatic Top and Bottom Wipe-On Label Applicator with Integrated Conveyor. 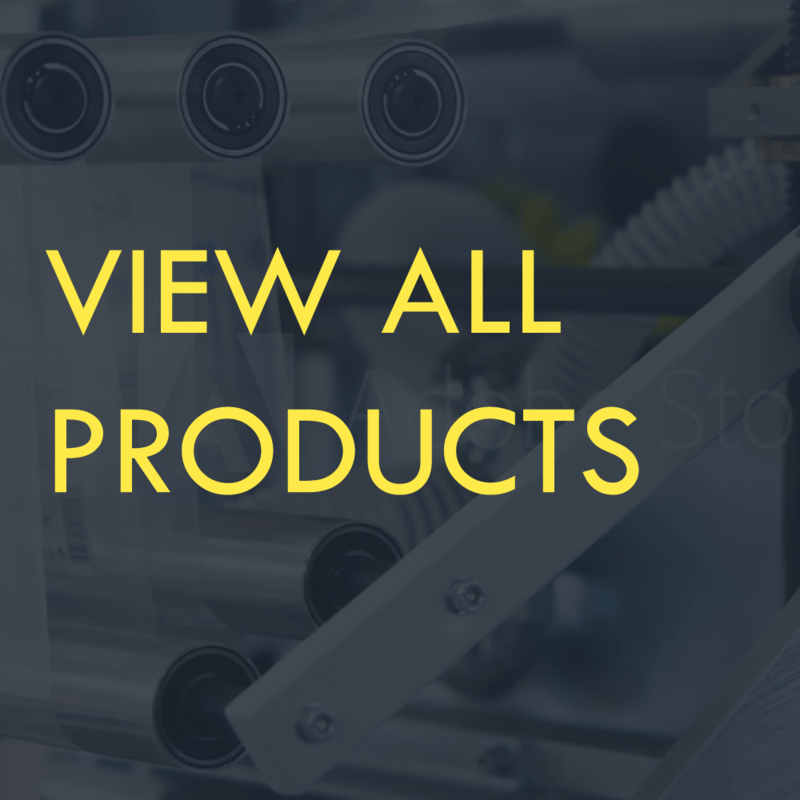 Applies the label to the top and bottom of a product simultaneously. Has built in 11 1/2 inch wide by 40 inch long adjustable speed, high friction conveyor. Touch Panel controls include target counter, ability to apply top and bottom labels at the same time or just a top or bottom label. Can be integrated into existing conveyor systems. Self standing and fully portable. 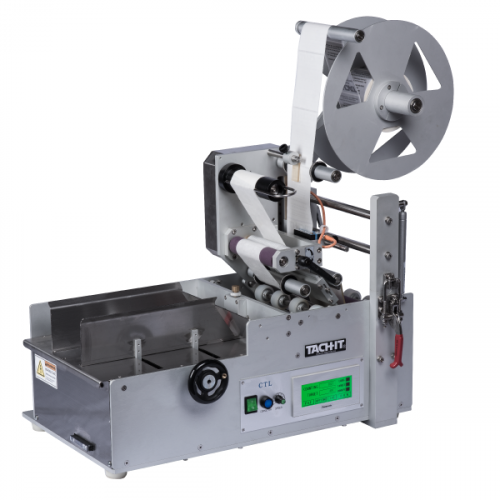 Realizing a need in the market for a machine between automatic label dispensers and a full inline labeling system, Tach-It created a series of automated labeling units that will feed product on a conveyor through top and bottom wipe on label applicator heads and applies labels precisely on the desired location each time. 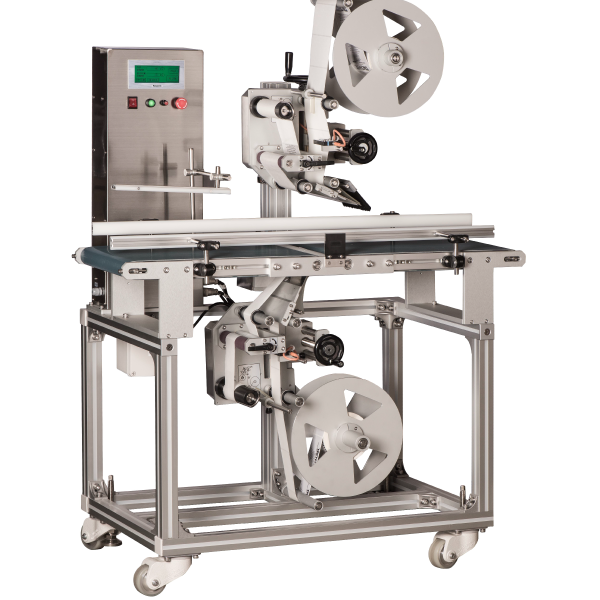 The Mini-Con TB label applicator requires no special operator training or tools for label or product changeovers, has a touch sensitive display screen where all settings are made and viewed, uses only non-contact sensors for product and labels, applies a top and botom label simultaneously, has a product and target counter, a 11 1/2 inch wide high friction conveyor making it perfect for most applications, extra large roll capacity, and the reliability of stepper motors for consistent label placement. 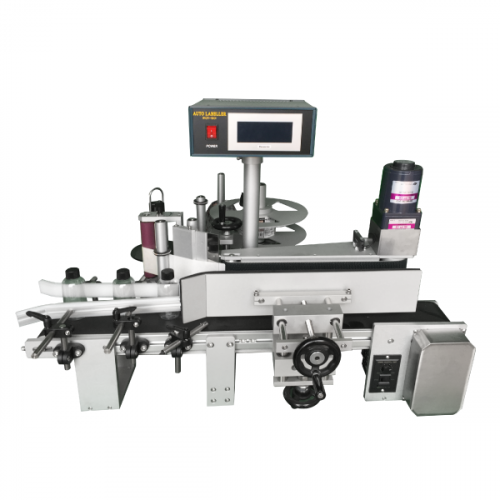 To use, an operator simply puts the items to be labeled at one end of the conveyor and it travels through the label heads, where the label is applied and exits at the other end of the conveyor. If you have a pre-existing conveyor, the Tach-It Mini-Con TB can be integrated with your existing conveyor.